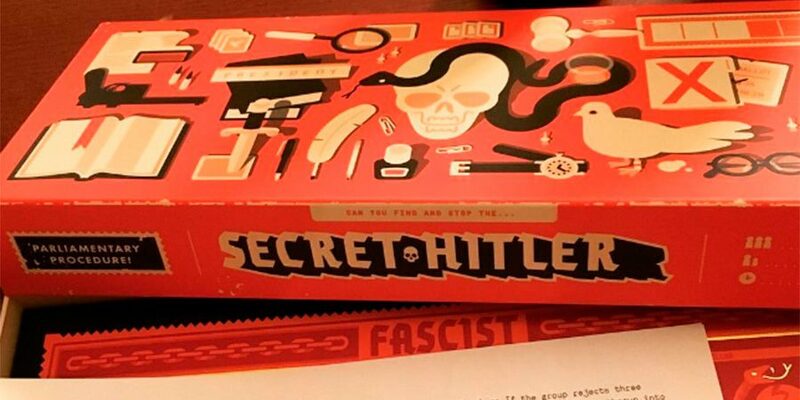 Senators across the US received a copy of a new board game called Secret Hitler in a move that is part publicity stunt, part timely political statement warning of the dangers of fascism. Each of the 100 US senators received a letter along with the social deduction game that models the rise of fascism in a democratic system. Secret Hitler players are given an identity, liberal, fascist or Hitler. The fascists are aware of their identity, and of Hitler’s, but the liberals and the player with Hitler token have no idea of their character. In each round, there is a president and a chancellor. The president gives the chancellor three policies and the chancellor chooses one to pass. The liberals win the game by getting five liberal policies passed or killing Hitler, while the fascists must get six fascist policies passed or elect Hitler as chancellor after three fascist policies have been passed. At the same time, both sides must keep their identities under wraps. The letter also highlights the importance of the senators’ role in democracy. “The legislative branch plays an essential role in a stable, functioning democracy now more than ever,” it reads. Secret Hitler, created by Mike Boxleiter, Tommy Maranges and Max Temkin – the man behind Cards Against Humanity – has been commended by reviewers for the tough choices, lies and allegiances within the game. Many social media users expressed envy at the senators who received the game for free. @MaxTemkin First time I've ever been jealous of a Senator. Or I guess a Senator assistant, they're totally gonna get that.